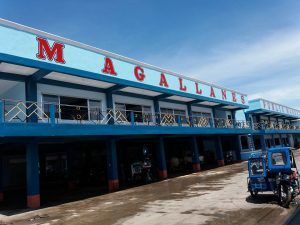 The municipality of Magallanes lies on the southern part of Sorsogon Province or approximately located between 124° to 125° longitude and 12° to 13° latitude. Its physical configuration consists of one (1) big mass and two (2) islands namely, Bagatao Island and Tinacos Island. 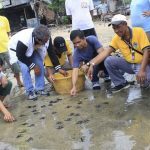 It has a total land area of 10,945 square kilometers divided into thirty four (34) barangays. Ten (10) barangays are considered within the Urban Area namely Central, Aguada Norte, Aguada Sur, Banacud, Bacolod, Binisitahan Norte, Binisitahan Sur, Cawit Extension, Cawit Proper and Pantalan. Barangays Aguada Norte and Bacolod are the largest and smallest urban barangays, respectively. Twenty four (24) barangays are considered as Rural Areas. Barangay Siuton is the largest while Ginangra is the smallest among these rural barangays which consists of Anibong, Bacalon, Biga, Behia, Biton, Bulala, Busay, Caditaan, Cagbolo, Cagtalaba, Ginangra, Hubo, Incarizan, Lapinig, Magsaysay, Malbog, Pawik, Salvacion, Sta. Elena, Siuton, Tagas, Tula-Tula Norte and Tula-Tula Sur. Barangays Biga and Behia are situated in Bagatao Island. The municipality has approximately 9,341 hectares or 85 % of alienable and disposable lands and about 1,604 hectares or 15 % of forest/preservation lands. These areas are consistent with the requirement of Republic Act 8435 or the Agriculture and Fishery Modernization Act of the Municipality’s SAFDZ program. The topographic landscape of Magallanes is dominated by rolling to moderate terrains (18-30% slopes) and level to nearly level terrains (0-3% slopes). These terrains are interspersed with mixtures of cantle slopes up to steep slopes. The soils found in the municipality are classified into the following: (1) Macabari Sandy Loam; (2) Casiguran Clay Loam; and (3) Obay Clay Loam. Macabari sandy loam are found in level to nearly level areas and are for good tillage, fertilizer application and irrigation production. Casiguran clay loam are common in gentle slope to undulating areas and are suitable for terraced crops, cover croppings, good tillage, root crops, coconuts, abaca and other unirrigated crops. Obay clay loam are prominent in undulating to steep areas and best for coconuts, abaca, upland rice, corn, root crops, fruit trees and other crops. These soil types make agriculture, the primary industry of the people in Magallanes. The geologic characteristics of the underlying rock formations for most part of the municipality are characterized by the following: (1) Terrace Gravel and Alluvial Deposits; (2) Andesite Flow Intercalated with Agglomerate and (3) Andesite flows with Interbedded Conglomerate. The most dominant geologic rock formation is Andesite Flow Intercalated with Agglomerate Terrace Gravel and Alluvial Deposits are common in areas along plains and coast lines. The common mineral found in Magallanes is a non-mettalic mineral known as Perlite. This can be found in the eastern part of the municipality. This mineral is commonly used as lightweight aggregates in concrete mix for abrasion and similar uses and also used advantageously to improve the poor structure of clay soils on which vegetables are grown. Magallanes has adequate natural drainage system. Its major rivers and creeks tributaries meander towards Ticao Pass and Sorsogon Bay. Most noted among its natural tributaries are Incarizan River, Siuton River, Gibalon River, Giladi River and Caditaan River. Magallanes has a total population of 36,151 and a total household of 7,786 with an average household size of 5 individuals based on Rapid Community Based Monitoring System Survey 2014. Among urban barangays, the most populated is Barangay Cawit Extension (1,524) and the least populated is Barangay Poblacion (Central) (577). On the other hand, Barangay Caditaan with a total population of 3,409 has the most number of individuals among rural barangays while Barangay Magsaysay with only 235 individuals has the least population. The municipality has 739 children under 1 year old and 4,374 children 0-5 years old. Children 6-12 years old is composed of 6,267, these are the children in elementary years while there are only 3,759 members 13-16 years old in high school years. There are 9,040 members of the labor force. The Rural Health Unit (RHU) of Magallanes is the primary health care provider in the municipality administered by the Municipal Health Officer and a group of medical personnel composed of one dentist, two nurses, three medical technologists, 12 midwives and one sanitary inspector. There is also the Municipal Nutrition Action Officer who organizes nutrition-related programs, projects and activities in the municipality. Social welfare and development programs and projects are directed towards improving the quality of life of the poor and disadvantage sectors in the municipality. The Municipal Social Welfare and Development and the Municipal Disaster Risk Reduction and Management Office implemented several programs ranging from nutrition, health care, shelter, livelihood and employment assistance and initiatives for the welfare and protection of children, women, elderly, persons with disability and other disadvantage sectors of society and relief and rehabilitation during hazard occurrence and/or disaster event. There are 42 Day Care Centers in the municipality operated and maintained by the barangays Day Care Workers in all 34 barangays. 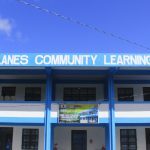 Magallanes has complete learning institutions from preparatory to college education. There are five (5) private primary schools, 28 elementary schools, one (1) vocational school, four (4) national secondary schools, two (2) secondary schools and one (1) state college. Of the 6,267 children 6-12 years old, 53 of which are not attending elementary while there are 310 out of 3,759 children 13-16 years old not attending high schoo. Illiteracy rate of the population 10 years old and above is only 5.93 %. In Magallanes, there are 971 informal settlers majority of which are located in Barangay Hubo and Caditaan with 94 and 83 households who are squatters, respectively. There are also 344 households living in makeshift houses majority of which are located in Barangay Bacalon with 48 households. In terms of tenure, 49.4% of the total number of households own their houses, rent – free lot with consent of the owner, some 22.51% own their houses and lots while 8.97% are living in public space without rent. There are 160 unemployed members of the labor force in the municipality and while there are 8,880 individuals who are employed almost 34% of which are still underemployed making the income still low. Fifty six percent (56%) of the employed are farmers, forestry workers and fishermen, 18% are service workers and marker sales workers while 11% are laborers and unskilled workers. In terms of the nature of employment, while 54% are permanent in their respective employment, almost half of which (46%) are engaged in short term or seasonal employment as well as day to day or weekly job employments. The municipality of Magallanes has an estimated area of 7,601.186 hectares considered as Agricultural Lands. This comprises about 71.62% of the total municipal land area. Agricultural activities are focused on crop production, fishery and livestock production. However, fishery for both marine and inland fishing is the dominant agricultural activity and economic source of the municipality. Trade in the municipality is limited to agricultural products, retail and minor service centers. This just suits the place being basically an agro-dependent locality. 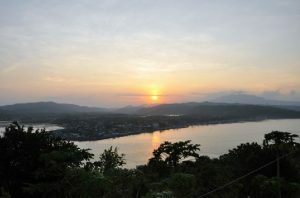 Proximity to the capital town of Sorsogon has further limited expansion of commercial establishments, though it has brought about positive economic implications. Service business consists of computer shops and other repair services, parlors and barbershops, eateries and bakeries, tailoring and dress shops, funeral parlors, dry-goods stores and drug store. Being an agro-based municipality, most of the industries herein are expectedly agri-based. Fishing is a prime industry, both for offshore and fishponds. Fish drying is common, though mostly on a domestic level only. Freshwater culture is also common and rice production is abundant. Other non-agriculture based industry is auto repair and welding shops. The municipality boasts of number of tourist spots majority of which are being developed. 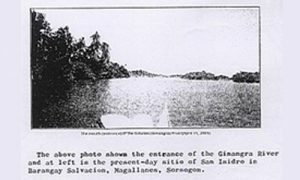 These range from a historical landmark in Sitio Gibalon of Barangay Siuton which surprisingly has documents to acclaim as the site of the first mass in Luzon and Astillero de Bagatao, a Spanish shipyard in Barangay Behia, to several natural springs and falls such as Bucal-Bucalan Spring in Aguada Sur, Tula-Tula Falls in Barangay Tula-Tula Sur, and Malihao Spring in Barangay Bacalon. 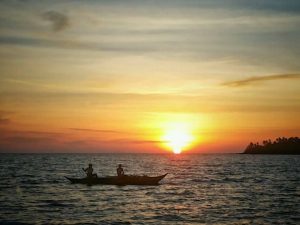 There are also fascinating beaches and islets in the municipality, such as Parola Beach, an island beach in Barangay Behia and Tinacos Islet in Barangay Biga. Except for the islands, other tourist destinations are accessible through public utility jeepneys and a little bit of walking and hiking. The municipality has an area of 1,530.75 hectares of forest land categorized as both NIPAS and Non – NIPAS located between Juban and Magallanes covering barangays of Bulala, Busay, Tula-Tula and Magsaysay. The topography of the watershed area is above 18% in slope, interspersed by ridges and numerous creeks, springs, waterfall and rivers. The present condition of transportation network in Magallanes for both internal and external linkages can be considered good enough. There are about 165.48 km. of roads that connect the municipality to neighboring towns and city. These include 24 km. national roads, 21 km. provincial roads, 57.11 km. municipal roads, and 53.54 km. barangay roads. Majority of these roads are made of concrete and are of fair condition. 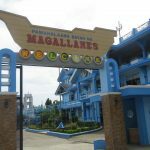 In terms of communication, Magallanes has two broadcast and television network provider namely Bulan Satellite Television and Dream Cable Television. These provide connections to household subscribers making available to viewers’ television programs from various channels both local and foreign. There are eight internet providers owned by private individuals located in urban barangays. 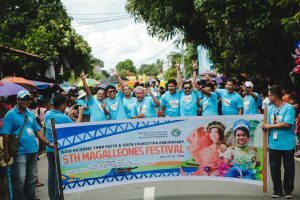 The town is also a host to three cellular sites operated by SMART, Globe Telecom and Sun Cellular making cellular phone and wireless Internet as the most effective, affordable and accessible means of telecommunication in the locality. A public postal office also operates in the municipality. 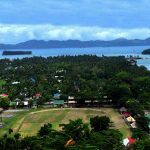 Electricity in the municipality is distributed to the 34 barangays through the Sorsogon Electric Cooperative I (SORECO I), the local electric cooperative servicing the southern part of Sorsogon province. Only eighty – two percent (82 %) of households in Magallanes are served by electricity. The water needs of the locality is sourced mainly from Bucalbucalan Spring in Aguada Sur which serves the barangays Caditaan, Aguada Sur, Aguada Norte and Cawit Extension; and from Dumalwa Spring in Incarizan which serves the poblacion barangays of Banacud, Binisitahan Norte, Binisitahan Sur, Bacolod, Pantalan, Central and Cawit Proper. Thirty nine percent (39%) of the total number of household has already a Level III water connection, 11% and 19% has Level II and Level I connections, respectively. Other sources of drinking water are protected spring water, tubewell or borehole and protected dug well.